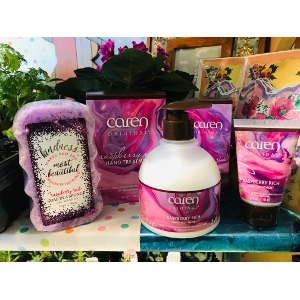 Gardeners and people who work with their hands will want to make sure they have plenty of our super moisturizing Caren hand creams! New introductions include Lemon Thyme and Raspberry Rich. Chapped and cracked dry skin will be a thing of the past once you start using there amazing products!